Krishnamurti has come to be seen as an exemplar of those spiritual teachers who disavow formal rituals and dogma. He talked of the things that concern all of us in our everyday life, the problems of living in modern society with its violence and corruption; of the individual’s search for security and happiness; and the need for mankind to free itself from inner burdens of fear, anger, hurt, sorrow, and so on. Krishnamurti unravelled with great precision the subtle workings of the human mind and constantly stressed the need for a revolution in the psyche of every human being and emphasized that such revolution could only come about by expanding one’s own consciousness and not by any external entity, be it religious, political, or social. 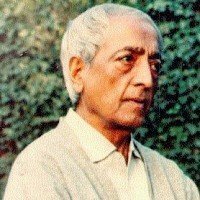 Jiddu Krishnamurti was born on May 11, 1895 into a Brahmin family in what was then colonial India. His parents had a total of eleven children, of whom six survived childhood. Krishnamurti’s father was employed as an official of the then colonial British administration; his mother died when he was ten. In 1903 (aged 8), Krishnamurti contracted malaria. He would suffer recurrent bouts of the disease over many years. A sensitive and sickly child, “vague and dreamy,” he was often taken to be mentally retarded, and was beaten regularly at school by his teachers and at home by his father. In memoirs written when he was eighteen years old, Krishnamurti described psychic experiences, such as seeing his sister, who had died in 1904, and his mother, who had died in 1905. During his childhood he developed a bond with nature that was to stay with him for the rest of his life. In April 1909 (aged 14), Krishnamurti first met with Charles Leadbeater, who claimed clairvoyance abilities. Leadbeater had noticed Krishnamurti, who frequented the same beach on the Adyar river in India, and was amazed by the “most wonderful aura he had ever seen, without a particle of selfishness in it.” This impression contrasted with Krishnamurti’s outward appearance, which, according to eyewitnesses was common, unimpressive, and unkempt. He was also considered “particularly dim-witted”; he often had “a vacant expression” that gave him an almost moronic look. Leadbeater was convinced that the boy would become a spiritual teacher and a great orator; a World Teacher to guide the evolution of humankind. Following his discovery, Krishnamurti was nurtured by members of the Theosophical Society. Leadbeater and a small number of trusted associates undertook the task of educating, protecting, and generally preparing Krishnamurti as the “vehicle” of the expected World Teacher. Krishnamurti and his younger brother Nityananda (Nitya) were privately tutored at the Theosophical compound in Madras, India and later exposed to a comparatively opulent life among a segment of European high society, as they continued their education abroad. Despite his history of problems with schoolwork and concerns about his capacities and physical condition, the fourteen-year-old Krishnamurti was able to speak and write competently in English within six months. There was a time when Krishnamurti believed that he was to become the World Teacher after correct spiritual and secular guidance and education. The daily program imposed on him by Leadbeater and his associates, included rigorous exercise and sports, tutoring in a variety of school subjects, Theosophical and religious lessons, yoga and meditation, as well as instruction in proper hygiene and in the ways of British society and culture. At the same time, Leadbeater assumed the role of guide in a parallel, mystical instruction of Krishnamurti; the existence and progress of this instruction was at the time known only to a select few. It was apparently clear early on that Krishnamurti possessed an innate personal magnetism, not of a warm physical variety, but nonetheless emotive in its austerity, and inclined to inspire veneration. However, as he was growing up, Krishnamurti showed signs of adolescent rebellion and emotional instability, chafing at the regimen imposed on him, visibly uncomfortable with the publicity surrounding him, and occasionally expressing doubts about the future prescribed for him. In 1922 Krishnamurti and his brother Nitya stayed at a cottage in the Ojai Valley, California. They found the Valley to be very agreeable and therefore this became Krishnamurti’s official place of residence. 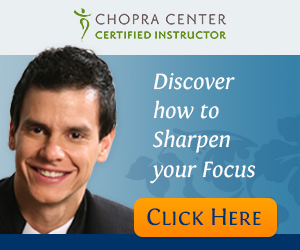 It was at Ojai that Krishnamurti went through an intense, “life-changing” experience. This has been variously characterized as a spiritual awakening, a psychological transformation, and a physical conditioning. The initial events happened in two distinct phases: first a three-day spiritual experience followed, two weeks later, by a longer-lasting condition that Krishnamurti and those around him would refer to as “the process”; this condition would recur, at frequent intervals and with varying intensity, until his death. It started with Krishnamurti complaining of sharp pain at the nape of his neck. Over the next two days, the symptoms worsened, with increasing pain and sensitivity, a loss of appetite, and occasional delirious ramblings. He seemed to lapse into unconsciousness, but later recounted that he was very much aware of his surroundings, and that while in that state had an experience of mystical union. This experience of the “otherness” would be present with him during daily events. The process at Ojai, whatever its cause or validity, was a cataclysmic milestone for Krishna. Something new had now occurred for which Krishna’s training had not entirely prepared him. A burden was lifted from his conscience and he took his first step towards becoming an individual. In terms of his future role as a teacher, the process was his bedrock. It had come to him alone and had not been planted in him by his mentors and it provided Krishna with the soil in which his newfound spirit of confidence and independence could take root. Over the next few years, Krishnamurti’s new vision and consciousness continued to develop. New concepts appeared in his talks, discussions, and correspondence, together with an evolving vocabulary that was progressively free of Theosophical terminology. Krishnamurti had denounced all organized belief, the notion of gurus, and the whole teacher-follower relationship, vowing instead to work in setting people “absolutely, unconditionally free”. He soon disassociated himself from the Theosophical Society and its teachings and practices, yet he remained on cordial terms with some of its members and ex-members throughout his life. Krishnamurti resigned from the various trusts and other organizations that were affiliated with the defunct Order of the Star, including the Theosophical Society. He returned the monies and properties donated to the Order, among them a castle in the Netherlands and 5,000 acres (20 km2) of land, to their donors. He spent the rest of his life holding dialogues and giving public talks around the world on the nature of belief, truth, sorrow, freedom, death, and the quest for a spiritually fulfilled life. He accepted neither followers nor worshippers, regarding the relationship between disciple and guru as encouraging dependency and exploitation. He accepted gifts and financial support freely offered to him by people inspired by his work, and continued with lecture tours and the publication of books and talk transcripts for more than half a century. He constantly urged people to think independently, and he invited them to explore and discuss specific topics together with him.